I am so excited that The Secret World of Arrietty will be in theatres beginning February 17, 2012. I was pleased to get to see a sneak peek at this incredible film, based on the children’s novel The Borrowers by Mary Norton. Get your children excited about this amazing new family film with these fun activity sheets! 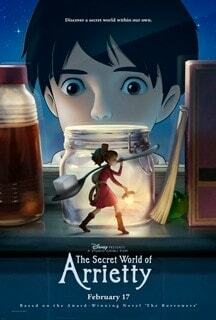 ‘Like’ THE SECRET WORLD OF ARRIETTY on Facebook.